Plamen Doynov was born in Razgrad in 1969. He holds a Master’s degree in History from Sofia University “St. Kliment Ohridski”. He was one of the founders of the Department of New Bulgarian Studies at New Bulgarian University in 1994. In 2007 he earned a PhD in Literary Theory and History for his dissertation on “Bulgarian Poetry in the 90’s: tendencies, thematic circles and poetic ecriture” and in 2010 he earned the position of an associate professor at New Bulgarian University for his thesis “Years of Literature – foundations, characteristics, history: 1907, 1956, 1968 as representative years of Bulgarian literature in the 20th century”. Plamen Doynov is a poet and a playwright, a researcher and a lecturer at NBU. He is the author of seven poetry books, amongst which are “The Hanging Gardens of Bulgaria” and “True Stories”, and the book containing poems and essays – “Coffee Poems”, which has been translated in France („Le temps d’un café”, Еditions Caracteres, Paris, 2006) and Hungary („Кávéköltemények“, Napkut Kiado, Budapest, 2007). 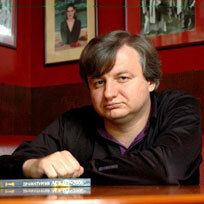 He has won national poetry awards, amongst which are “Yavorov” (Pomorie, 1995) and “Ivan Nikolov” (2004). For his plays he has received the “Ivan Radoev” (2001) and “Askeer” (2006) awards for Modern Bulgarian Drama. For his research “The Bulgarian Soc-realism: 1956, 1968, 1989” he has received the “Hristo G. Danov” national award in the Humanities category. His poems and plays, articles and studies are published in English, French, German, Hungarian, Russian, Spanish, Serbian, Turkish and other languages. Plamen Doynov is the author of the critical book “Literature Between the Centuries”, the two volume research “Bulgarian Poetry at the Closing of the 20th Century”, the monographs “1907: Literature, Autonomy, Canon”, “The Bulgarian Soc-realism: 1956, 1968, 1989” and “The Alternative Canon: The Poets”, over one hundred articles, studies and essays on the problems of Bulgarian literature of the 20th and the 21st century. He has compiled numerous collections of articles in the field of the literary and cultural history of communism, amongst which are “The Socialist Realism: New Studies”, Soc-realist Canon/Alternative Canon”, “Forced Texts. Self-criticism of Bulgarian Writers (1946-1962)”, etc. He is Director of the research programme of the Department of New Bulgarian Studies at NBU – “Literature of the People’s Republic of Bulgaria (1946–1990)”, within which he is a moderator of the publishing sequences “Personalities”, “The Literature of PRB: history and theory”, “In Red and White: A Literary Archive of PRB”. He is also Head and Coordinator of numerous research projects and science forums in the sphere of literary history. His research interests lie in the following areas: theory and history of literature, Bulgarian literature, literary and cultural history of communism, creative writing (poetry and dramaturgy), history and theory of journalism, writing for the press, publishing. Over the years he has worked as Deputy Editor in Chief and manager of “Literary Newspaper”, Ltd. (1996 – 1998), Director of the National Students House (1998 – 2004), Assistant Professor and Chief Assistant Professor at NBU (2005 – 2010), Associate Professor at NBU (since 2010). For many years he has worked as Editor for the weekly “Literary Newspaper” (since 1993) and Vice Chairman of the Association of Bulgarian Writers (since 2003).